Two of the country’s leading medical groups have issued a call to arms against the soda industry, urging legislators to embrace taxes, warning labels and advertising restrictions to deter young people from consuming sugary beverages. The organizations say such measures are needed if the US is to adhere to federal dietary guidelines recommending that added sugars make up less than 10 percent of the total calories consumed by children and adolescents. The figure now stands at 17 percent, with nearly half of that coming from sugary sports drinks, carbonated sodas and fruit-flavoured beverages, according to studies. The guidelines do not include sugars found naturally in 100 percent fruit juices. “Sugary drinks are empty calories and they are the low-hanging fruit in the fight against childhood obesity,” said Dr Sheela Magge, a pediatric endocrinologist at Johns Hopkins Children’s Center who took part in crafting the recommendations. Dr Natalie Muth, California pediatrician and a lead author of the recommendations. Still, some of the policy suggestions would be relatively easy to achieve, like increased funding for public education programs to highlight the dangers of excess sugar consumption or changes to the federal food program that serves millions of poor children. The Supplemental Nutrition Program, or SNAP, pays for 20 million servings of sugary drinks a day, at an annual cost of $4 billion. Barring recipients from using benefits to buy unhealthy beverages, researchers say, could prevent 52,000 deaths from Type 2 diabetes. 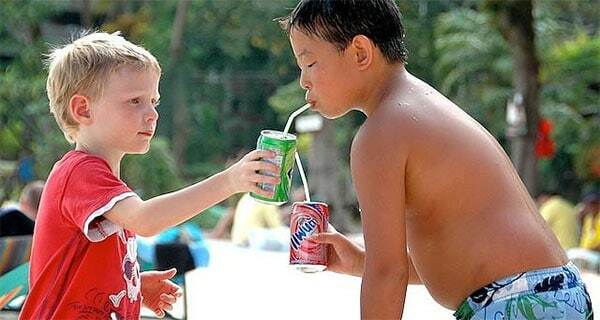 William Dermody, a spokesman for the American Beverage Association, said sugary drinks were being unfairly blamed for soaring rates of obesity and diabetes, and he said there were better ways to discourage sugar consumption among children. The industry, he noted, was focused on creating healthier products, including bottled water and low-sugar drinks, part of an industry initiative to cut by 20 percent the calorie count in beverages by 2025.